Ariocarpus retusus is one of many varieties of cacti and succulents known as living rocks, a term coined for their ability to blend into their surroundings. 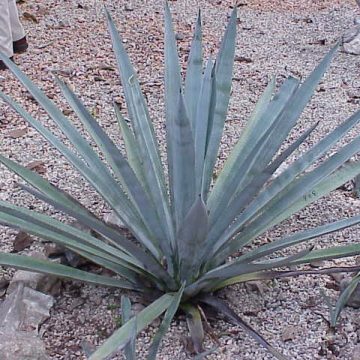 Retusus is the largest, fastest-growing and easiest to cultivate of the ariocarpus genus, making it one of the most popular among rare cacti collectors. 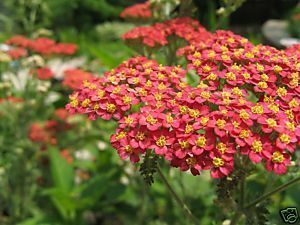 It is also a very variable species. They can reach up to 10″ in diameter. Unlike the endangered ariocarpus fissuratus, retusus is widespread throughout the Chihuahuan desert, although habitat destruction does pose a risk. 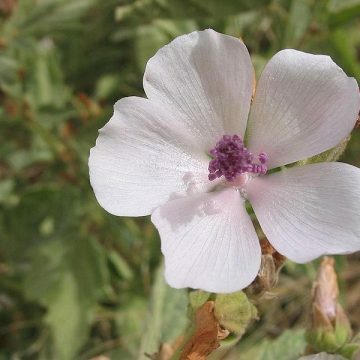 Like fissuratus, retusus has a large taproot below the ground and is occasionally grafted to faster-growing stocks such as pereskiopsis, san pedro or blue myrtle that can drastically speed up growth. 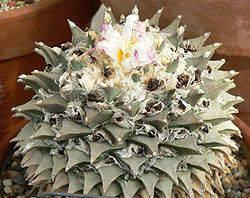 Ariocarpus retusus was known as “tsuwiri,” meaning false peyote, by the Huichols. 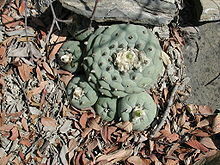 In their long journeys to find and partake in peyote rituals, they believe that those who were impure or evil would be led by the sprits to find tsuwiri rather than peyote and would go on to suffer madness upon ingesting the false peyote.